BUTTE – Hundreds of people, including political leaders from both parties, attended the memorial for Montana’s first female governor. 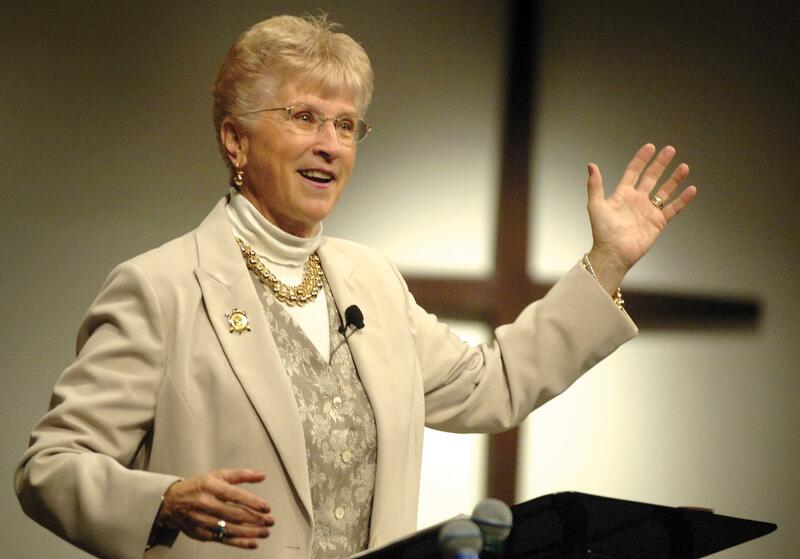 Judy Martz died Oct. 30 at the age of 74 after a long battle with pancreatic cancer. The memorial for the Republican governor who served from 2001 to 2005 was held Saturday at the Butte Civic Center. Among those attending the service were Democratic Gov. Steve Bullock, former Gov. Marc Racicot, state Attorney General Tim Fox and U.S. Rep. Greg Gianforte, the Montana Standard reported . Shane Hedges, who served as Martz’s top policy adviser for a time, eulogized Martz as a driven, competitive woman who always found time to help and care for others. “Tell Judy Martz she couldn’t, and she did, every single time,” Hedges said. Her competitive streak pushed her to show doubters and detractors that she would succeed, he said. “Next thing you know, she’s Miss Rodeo Montana. And when she was told she couldn’t beat her friend Sylvia White speedskating, she never lost to her again and ended up at the national championships and then at the Olympics in Innsbruck,” he said. When she ran for governor, “the good old boys didn’t get the memo about not motivating Judy by telling her she couldn’t,” Hedges said. “And boy did they tell her. Martz’s son-in-law, Abe Boomer, and her nephew, Rob Crippen, noted her genuine interest in people. “She just cared,” Boomer and Crippen both said. Published: Nov. 5, 2017, 12:47 p.m. Updated: Nov. 5, 2017, 10:19 p.m.